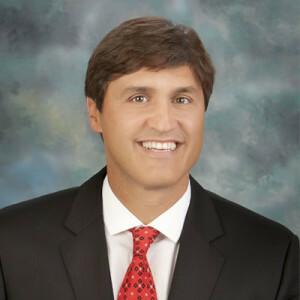 Dr. Robert T. Getter is board-certified and fellowship trained, specializing in diagnosis and surgical treatment of spinal disorders. He performs all aspects of spinal care from non-operative to traditional and minimally invasive surgical intervention including microsurgery and motion preservation of the spine. He is a member of the American Academy of Orthopedic Surgeons (AAOS) and the North American Spine Society (NASS). Dr. Getter received his undergraduate Bachelor of Science degree from Columbus State University. He then earned his medical degree from Ross University. He then completed his residency in Orthopedic Surgery at Maimonides Medical Center in Brooklyn New York and was named outstanding Chief Resident. Subsequently, he received his combined spine surgery fellowship training in neurosurgery and orthopedic surgery at the Spine Institute of Arizona. A rare advanced clinical training experience that specializes in minimal invasive education and surgical training with both neurosurgical and orthopedic spine surgeons, and industrial injury experts. © 2016 MI DISC, PLLC. All Rights Reserved. | Privacy Statement | Website by Funnls.